Human beings are mammals and have hairs to regulate temperature and diminish friction between surfaces of the skin as in the inguinal area. Laser can only eliminate thick hairs but not fine vellous hair. The technology used at Clinica Dermatologica De Felipe is the HIGH POWER LASER DIODE. Diodes are metal plates made from Arsenic (As), Gallium (Ga) and Aluminium (Al). When subdue to an electrical field they generate photons and light in the red colour, close to 810 nm wavelength. These photons are, by chance, the most readily absorbed by hairs and the least absorbed by the surface of the skin, making this laser very efficient to remove hair. Up to 60 j/cm2 can be administered in pulses 30 ms long, which represents a peak power of. 2.000 Watt. 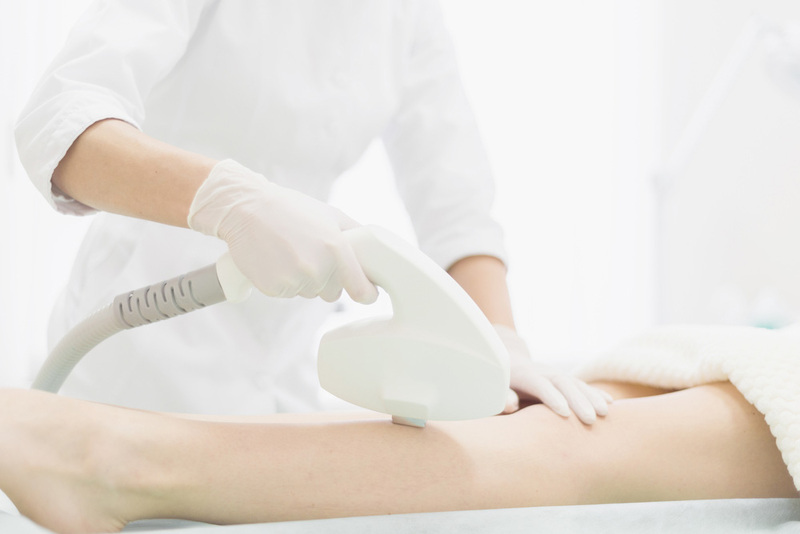 Other lasers can also provide that energy but in much longer pulses, making them not as effective for laser hair removal as we would wish. 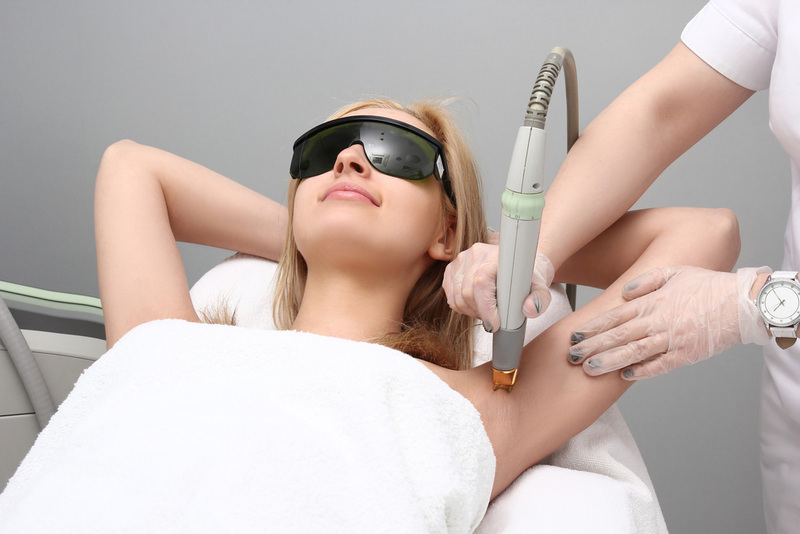 There are also other light sources used to perform hair removal, but are less powerful and fast. Power is related to efficacy. The more effective, the fewer sessions you will have to perform, and the less money you will have to spend. Don’t sun tan too much with the sun or UVA. Even though laser hair removal is possible, it is better to have light skin that enables the laser to enter and destroy the hairs. Moisturize your skin so that you reduce the rate of complications and the skin is better prepared for the treatment. 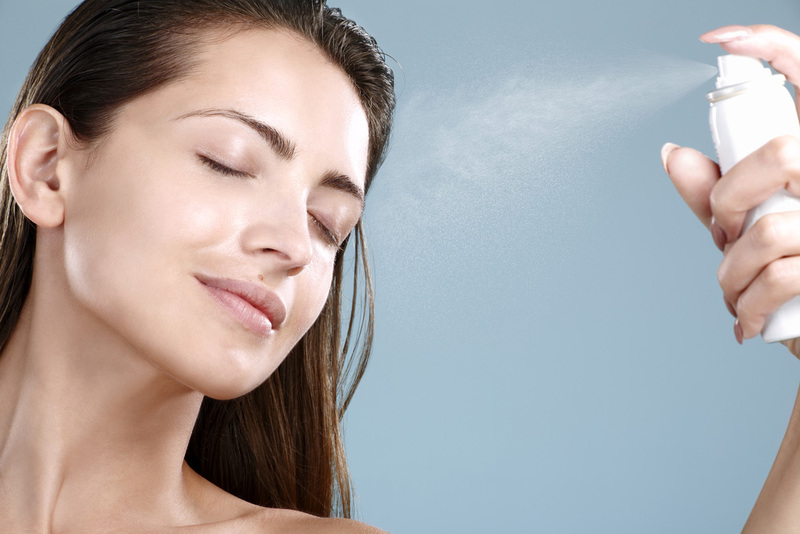 The more you moisturize the skin the more content of water it has, the more light it needs to heat it. The day before the treatment shave your hair down to the skin surface. It will not grow faster or slower. You may feel it is more pointing but hair does not have detectors nor nervous terminals detecting thats a pair of scissors or a razor is cutting it 2 mm or 20 cm far from the skin surface. In fact, men have always cut the hair on the head without preventing baldness. Two hours before the treatment sesión, apply anesthetic crea mover the skin to treat. A thick layer of this cream should be applied. On top of it, a transparent plastic film shoul be applied to increase absorption into the skin. If you are performing a treatment on the face, you can apply this cream every 15 minutes for the previous two hours of the laser sesión. The mane of the crea mis EMLA CREAM 30g or LAMBDALINA CREAM. At the moment of the treatment, a transparent gel will be applied on top of your skin. Over it, the hanpiece of the laser will be cooling the skin with its 0ºC sapphyre tip. This crystal lets the light go across to the skin but avoids excessive heating of its surface, thus preventing burns. The material which is made this crystal is sapphire, which reduces heat on the surface of the skin 30 times faster than any other water gel or quarz crystal. It is also 900 times more powerful in cooling the skin for its protection tan the air itself. The sesión of treatment lasts from a few minutes to a Little more tan an hour if treating the whole surface of the body. 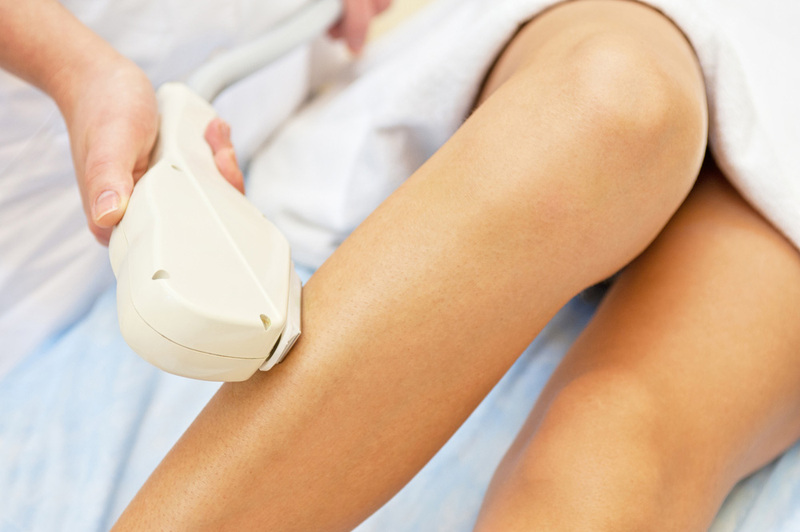 With the MILESMAN SUMUM we can treat 8 cm2 per second, becoming the fastest laser hair removal in the world. After the sesión the skin is red and itches. It is time to apply anti-inflamatory substances that are natural such as ALOE VERA GEL or termal wáter, several times a day, on the first two days after the treatment. The week afterwards, RESTORING MOISTURIZERS should be applied twice daily for around 5 days, in order to normalize the hidration of the skin. You will see that the hair grows apparently some milimeters after the treatment sesión and then after a week or two disappears. It was the hair shaft that was being expelled from the skin. Because the root is distroyed or resting, you will have to wait from 6 to 12 weeks till the hair grows back again. You will see that not all the hair is coming back. About a 25 or 30% of the hair will have disappeared forever. It is easy to remove the hair of the bikini line and more difficult to do so in the back of a young male because in the former the skin is thin and allows for the light to come in and in the latter the skin is a thick barrier for the hair. It is also easier to eliminate the hair of a mature person than on a young one because in the latter not all the hairs have grown. The hairs that are difficult to treat are those growing on sexual dependan tareas because they can develop any momento througout life.